Our blades are the sharpest cutting instruments in the world and it is important to give not only good quality, but also consistent quality. Some companies can make a small quantity of blades correctly, but at American Cutting Edge, we pride ourselves on having the processes that enable us to make good quality razor blades while producing tens of thousands of pieces. This makes it possible to keep prices low, something essential these days. We can make whatever type blade you may need including industrial hand knives, professional contracting tools, machine knives or a blade to go in your OEM product. Our company is specially set up to manufacture high quality blades and much of our equipment is CNC (Computer Numerically Controlled). While we use strip grinders to make blades more economically, we have standard machine knife grinders so we can make virtually any blade. Our ownership in factories in lower cost countries enable us to do hand grinding on blades for an economical price. 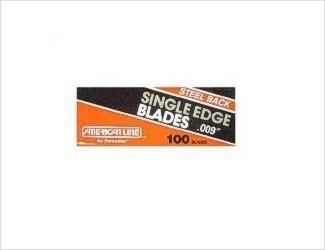 We have blades in stock and often can find the special razor blade you need in our inventory. This enables us to ship almost every order the same day we receive it. Some of the stock blades that we have are for markets such as cutting: fiber, skinning meat, food, packaging, roofing, poultry, mat board, rubber, plastics, extruded tubes, film, foil, construction, as well as many other blades that go into OEM devices. Our motto of “Easy to do business with” means we give you the service you need to enable fast shipment.